Index on Censorship is Britain’s leading organisation promoting freedom of expression. Their website provides up-to-the-minute news and information on free expression from around the world. A wide-ranging programme of events and projects put its causes into action. 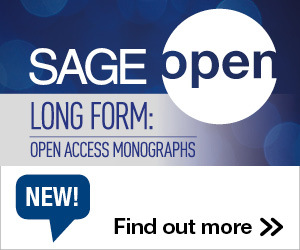 Its award-winning magazine shines a light on these vital issues through original, challenging and intelligent writing. A female journalist training reporters from within war-torn Syria, and a group busting online censorship in China are among this year’s Index on Censorship Freedom of Expression Awards winners. The winners, announced on Wednesday evening at a gala ceremony in London, also included a Yemen-based street artist and campaigners from Pakistan battling internet clampdowns. The winners were: Yemeni street artist Murad Subay (arts), Syrian journalist Zaina Erhaim (journalism), transparency advocates and circumventors of China’s “Great Firewall” GreatFire (digital activism) and the women-led digital rights campaigning group Bolo Bhi (campaigning). Drawn from a shortlist of 20, and more than 400 initial nominations, the winners were presented with their awards at a ceremony at The Unicorn Theatre, London, hosted by comedian Shazia Mirza. Music was provided by Serge Bambara — aka “Smockey” — a musician from Burkina Faso who won the inaugural Music in Exile Fellowship, presented in conjunction with the makers of award-winning documentary They Will Have to Kill Us First: Malian Music in Exile. The award was presented by Martyn Ware, founder member of the bands Human League and Heaven 17. Winners were presented with a framed caricature of themselves created by Malaysian cartoonist Zulkiflee Anwar Haque (“Zunar”), who faces 43 years in jail on sedition charges for his cartoons lampooning the country’s prime minister and his wife. Each of the award winners becomes part of the second cohort of Freedom of Expression Awards fellows. They join last year’s winners — Safa Al Ahmad (Journalism), Rafael Marques de Morais (Journalism), Amran Abdundi (Campaigning), Tamás Bodoky (Digital activism), Mouad “El Haqed” Belghouat (Arts) — as part of a world-class network of campaigners, activists and artists sharing best practices on tackling censorship threats internationally. Judges included human rights barrister Kirsty Brimelow QC; Bahraini campaigner, Nabeel Rajab, a former Index award winner; pianist James Rhodes, whose own memoir was nearly banned last year; Nobel prize-winning author Wole Soyinka; tech entrepreneur Bindi Karia; and journalist Maria Teresa Ronderos, director of the Open Society Foundations independent journalism programme. 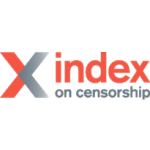 Various artists and intellectuals have written for Index on Censorship over the years. In honor of the London-based organization handing out its annual Freedom of Expression Awards, here are some quotes from them that we hope inspire you to speak out for those who can’t. Awards are offered in four categories: Arts, Campaigning, Digital Activism and Journalism. Anyone who has had a demonstrable impact in tackling censorship is eligible, and winners join Index’s Awards Fellowship program and receive dedicated training and support. To see the shortlist of 20 artists, writers, journalists and campaigners tackling censorship and fighting for freedom of expression against incredible obstacles, and ranging from Belarus Free Theatre to Méxicoleaks, click HERE. This entry was posted in Announcements and tagged Freedom of Expression, Index on Censorship. Bookmark the permalink. Trackbacks are closed, but you can post a comment.